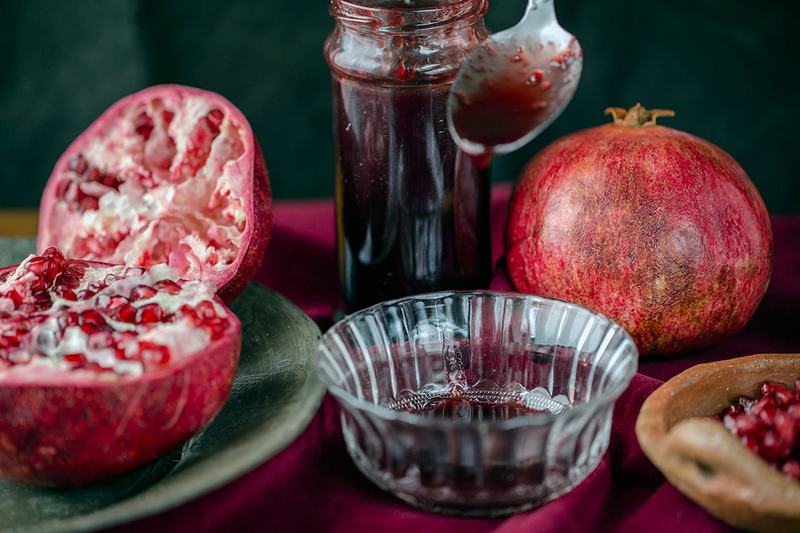 Peel the pomegranate and remove all the white skin and pith. You can either press each batch in a sieve placed over a bowl with metal pestle or in a juicer if you own one. Transfer the juice to a large deep pan, add sugar, lemon and salt and stir to dilute. Bring to a boil, reduce the heat and leave on a simmer for a couple of hours until reduced to syrupy consistency.